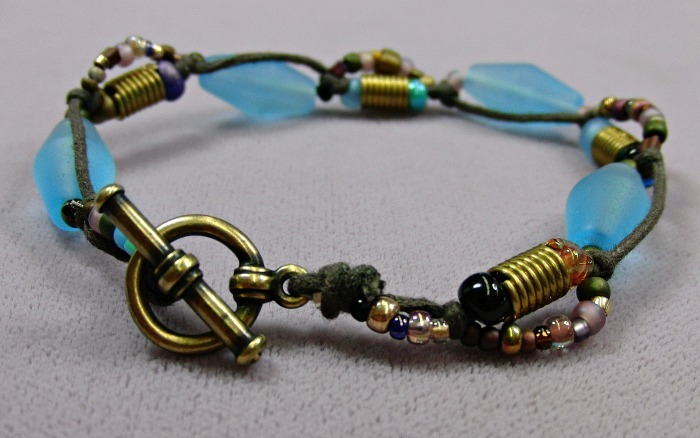 Chris created this fun new Boho bracelet! 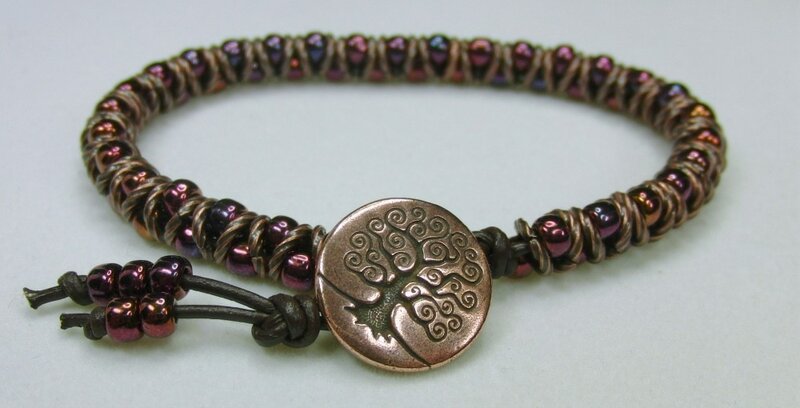 It's a great way to use up orphan beads. REALLY EASY, really YUMMY leather bracelet! It can also double as a necklace, since we make it so long! Learn basic crimping and how to incorporate cord! Using just a few special beads we will teach you how to wrap and end this fun bohemian bracelet. Totally easy and fun to do! Great for all age levels. 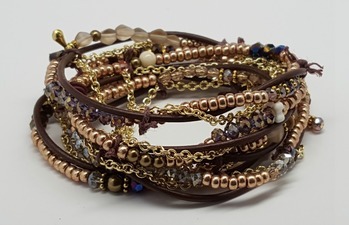 Using only chain and suede, create this trendy fun stackable bohemian bracelet! Learn the tricks to creating professional-looking leather earrings! Create a wonderful Bohemian necklace! Using special large-hole pearls and leather, learn to create this modern and funky lariat! You won't believe how easy it is to make this bohemian beauty! Learn to use many strands of leather and special cording ends to create a funky, one-of-a-kind necklace! You can also use this technique to create a great bracelet, too! Cool contemporary leather necklace, let's get knotty! 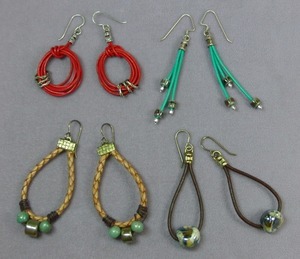 Learn to work with leather and beading wire in this fun bohemian class! 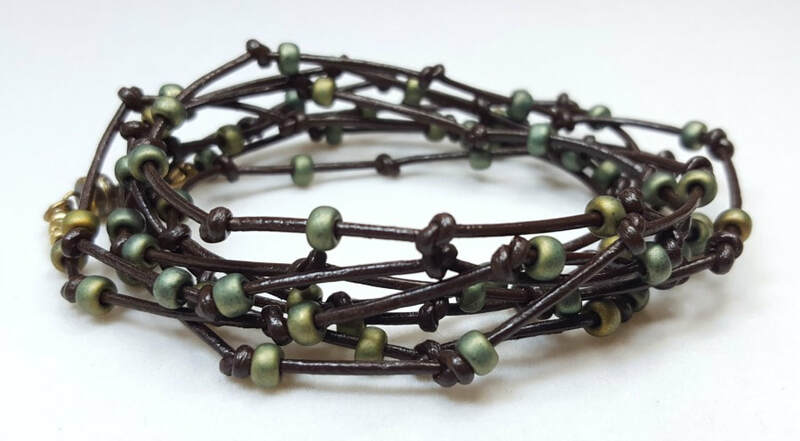 Using leather, beads, and cording, create this hip bracelet for a fraction of retail prices! One of our most popular classes, start with a single or double wrap, then the sky's the limit. Bohemian is in! Learn to make these cool Spanish knots on 1mm leather. Great for stacking!